Caster with Stopper for Cart, ACW03 - HIGHGRADE TECH. CO.,LTD. We are the global leader in Electronic Supplies. We develop, manufacture and distribute groundbreaking Mobile Cart, Articulating Wall Mount, LCD TV Wall Mount Bracket and Caster with Stopper for Cart that shatter the status quo and help customers gain and maintain a competitive edge. We have earned a good reputation based on the quality, competitive prices and punctual delivery of our products. With a heritage on hinge technology, Highgrade Tech. is committed to provide a wide range of best-in-class solutions for the Healthcare Industry. 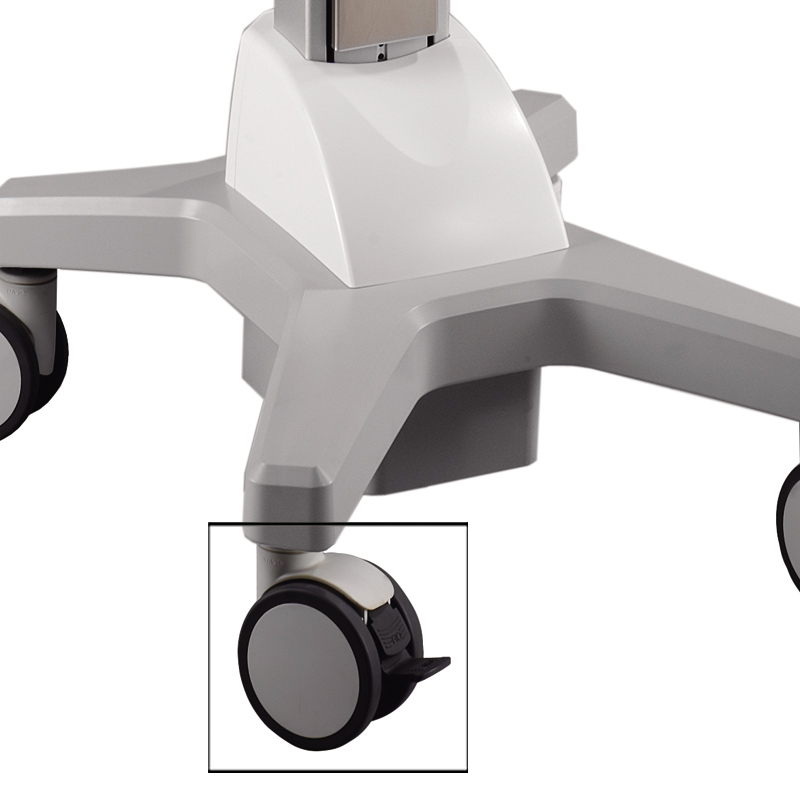 The intuitive series have been included with Mobile Carts, Workstation Kits, Bedside ARMs, Medical/Media Mounts, etc. ACW03 is a low noise caster for carts. The design provides lock/stopper to keep caster still in need. It can be used on Highgrade’s Carts with its advantages of anti-bacteria, anti-static, impact resistance and chemical corrosion, noise-free, etc. Dear Sir/Madam, I’m interested in Caster with Stopper for Cart, ACW03 that your company provides. Would you kindly contact me with your detailed product information and FOB price? Thanks. As a professional ACW03, Caster with Stopper for Cart, Caster manufacturer, HIGHGRADE TECH. CO.,LTD. has an excellent advantage over the competition, developing strong designs at very competitive prices but maintaining extremely high quality. Customer service is another commitment we take seriously, our proven reputation and record of quality support won't leave you stranded.